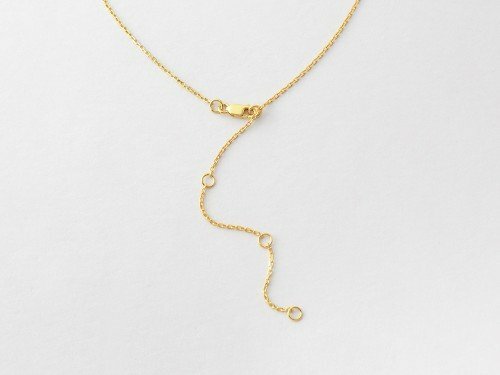 This karma necklace with name is an elegant take on the classic necklace with kids' names. 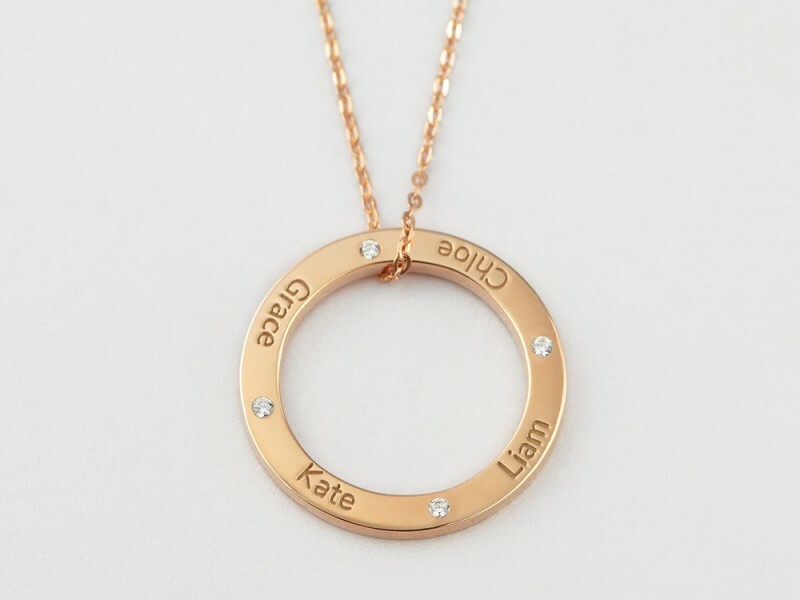 Personalized with the children's or family names, this circle of love necklace is the perfect gift for Mother's Day. 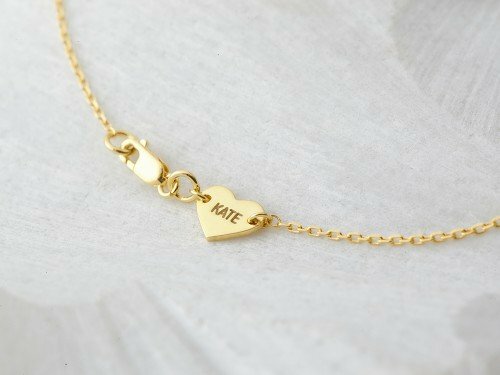 Available in sterling silver with 18K gold plate options, this kid's name necklace for mom represents beauty in simplicity. 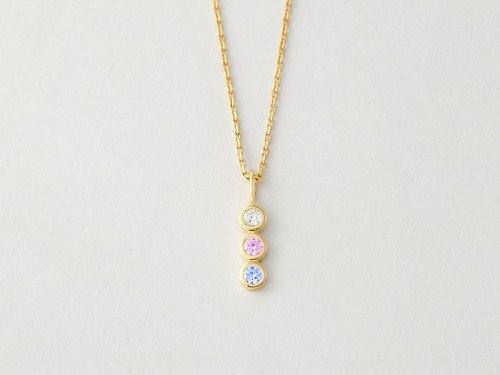 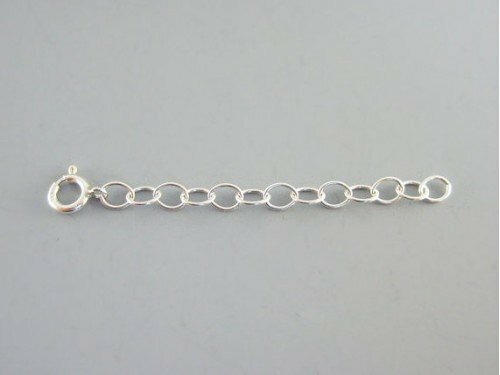 Choose from 1-5 names for this circle necklace. 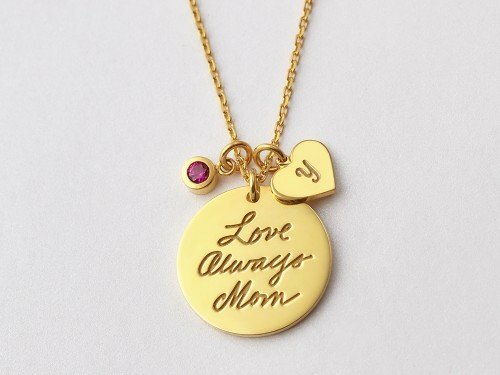 - See how your names will be arranged on the pendant by looking at our layout picture.